Sundarban tour package cruise for 3 days 2 nights. Travel Route : Khulna-Sundarban-Koromjal-Kotka-Harbaria-Khulna. This Sundarban tourism package includes food menu for 3 days including breakfast, lunch & dinner. 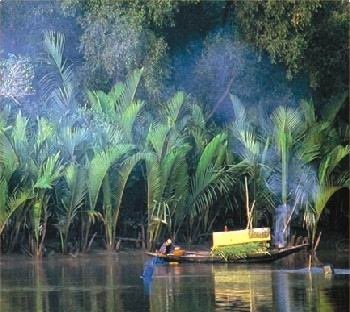 Tourists of this Sundarban travel package will depart from Khulna. Experience a Bangladesh domestic holiday vacation trip package with us. The quoted price of the cruise package is per person. Snacks two times a day - biscuits / cakes / fruits, tea/coffee. Day1 Plan Will start for Sundarbans early in the morning from Khulna Rupsha ghat. Reach Kachikhali before evening and scatter about the forest for some time. In kochikhali we’ll observe the natural beauty of the Mangrove forest. In the first day, we’ll have night halt on boat at Kochikhali. In 2nd day early in the morning, we can cruise the mangrove channel if you like, and come back on boat.